Things have been rather busy the last couple of months. My partner and I have had to move house which was the hugest upheaval plus exceedingly busy at work. Followed by the absolute joy that was Nine Worlds. I’ve been thinking and I need to shake the blog up a little bit again. How I’m not one hundred percent sure but I’m going to make it a bit more vibrant and be a bit more varied in what I do here. Basically watch this space for some changes over the coming weeks. Look out for the long overdue review of Lords and Ladies, Maskerade and Carpe Jugulum as well as my nineworlds post and other exciting nuggets. As Granny Weatherwax said, I aten’t dead. As I previously mentioned Chamber of Secrets was always my least favourite of the series and I think my memory let me down a bit with this. This is a good thing because it was much much better than I remember. I think there are parts to this story that really don’t make sense until you read The Half-Blood Prince and that’s okay but it feels a little bit foggy in places. I think part of the issue is that my memories of the book are tainted by the film adaptation. Dobby is far less annoying in the book than he is in the film. The humour is far more evident in the books and there is a lot of funny moments which I had a real joy in rediscovering. 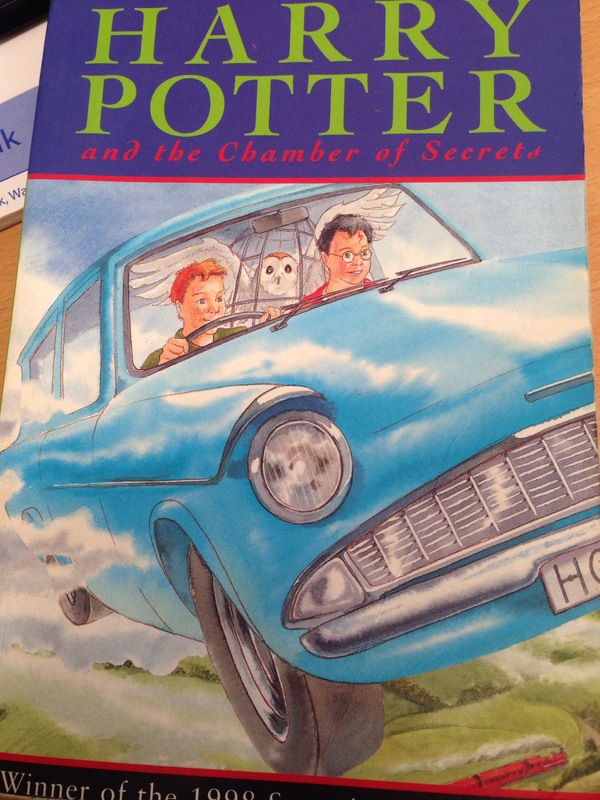 So without further ado: five things about Chamber of Secrets. Valentine’s Day specifically the teacher’s reactions to the hideous pinkness of it all. Dobby: Better you be sent home grieviously injured than dead. Arthur Weasley being more concerned with how the flying Ford Anglia flew rather than Fred, George and Ron borrowing it.